Blue Resources Trust is excited to partner with the Tokyo Cement Group, who are funding our coral reef research and conservation project in Sri Lanka. Coral reefs across the world are facing growing pressures due to anthropogenic impacts such as climate change and rapid economic development, and this partnership, linking scientific conservation with industry, will aim to improve our understanding of these threatened coral reefs which in turn will enable better management of these invaluable resources. Global FinPrint is a Paul G. Allen initiative that brings together an international research team to fill a critical information gap about the diminishing numbers of shark and rays. The project launched in summer 2015, conducting surveys of sharks, rays, and other types of marine life on coral reefs using baited remote underwater video (BRUV). Blue Resources Trust and Global FinPrint (via the Australian Institute of Marine Science) have partnered to carry out the BRUV surveys in Sri Lanka. The New England Aquarium’s (NEAq) Marine Conservation Action Fund (MCAF), under the Anderson Cabot Center for Ocean Life, aims to protect and promote ocean biodiversity through funding of small-scale, time-sensitive, community-based programs. It was founded in 1999 and has funded more than 130 key projects across the world. The Sri Lanka Mobulid Project received its first grant from MCAF in 2012. Since then MCAF have provided support by raising awareness, helping build up our network, provide numerous opportunities to engage with the public, and also awarding Blue Resources Trust co-founder a MCAF Fellowship in 2017. We are grateful for their continued support and look forward to future collaborations. Established in 2011, The Manta Trust is a UK registered Charity that undertakes a multidisciplinary approach to the worldwide conservation of manta and mobula rays and their habitat through robust science and research, while raising awareness and providing education to the general public and community stakeholders alike. Blue Resources Trust and The Manta Trust have partnered to carry out all mobulid research and conservation actions in Sri Lanka. Founded in 1998, the Central Caribbean Marine Institute (CCMI) is a not-for-profit organisation working to protect the future of coral reefs through research, conservation and education. Blue Resources Trust and CCMI have partnered on a project to investigate the importance of coral reefs to coastal communities and to monitor coral bleaching events around Sri Lanka. The Gulf Elasmo Project is a non-profit initiative based in the United Arab Emirates with a mission to advance research, education, and conservation of elasmobranchs (sharks, rays, guitarfishes, and sawfishes) in the Arabian Sea and its adjacent waters region. It focuses on gaining an understanding of the diversity, abundance, and distribution of species through fisheries surveys while working closely with fisher communities and building the capacity of local scientists and researchers. 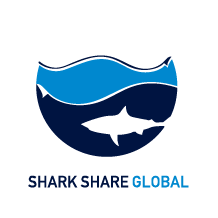 Shark Share Global is an online database where Chondrichthyan (shark, ray, and chimaera) researchers can submit tissue samples, search, and request them from colleagues around the world. This will enable researchers to learn more about these species and in turn, better manage and conserve them. Blue Resources Trust has made all our Chondrichthyan samples available online via this database. Requested samples will be shipped to chosen collaborators after all necessary national permits are obtained.